Loads of information in this status update – a veritable tour of France! 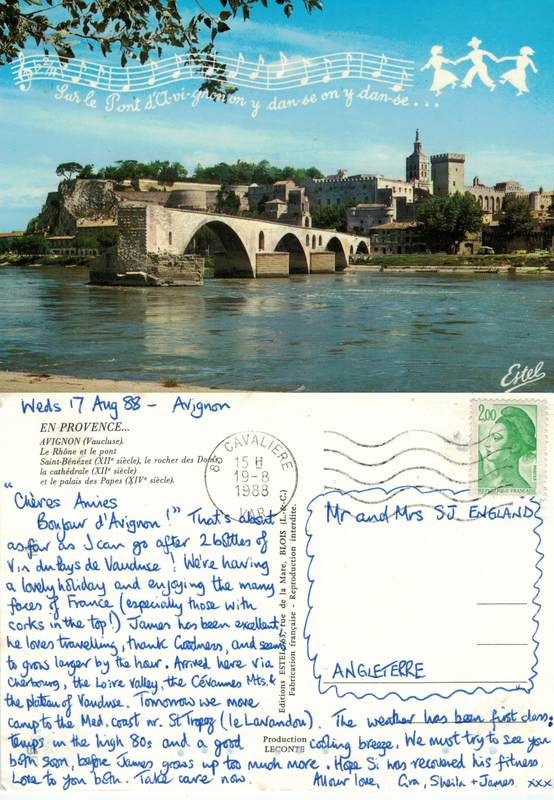 The image on the front features the famous Avignon bridge together with the words of the even more famous song. The card is postmarked ‘CAVALIERE 15H 19-8-1988’ so although written in Avignon, it was, in fact, posted a couple of days and some 200km later when they arrived at the Mediterranean. The stamp is a 2 franc Marianne definitive.